#MoviesMusicPlaysFilmFestivalsConcerts: News: Latest Mads Mikkelsen film "The Salvation" opens February 27th! News: Latest Mads Mikkelsen film "The Salvation" opens February 27th! 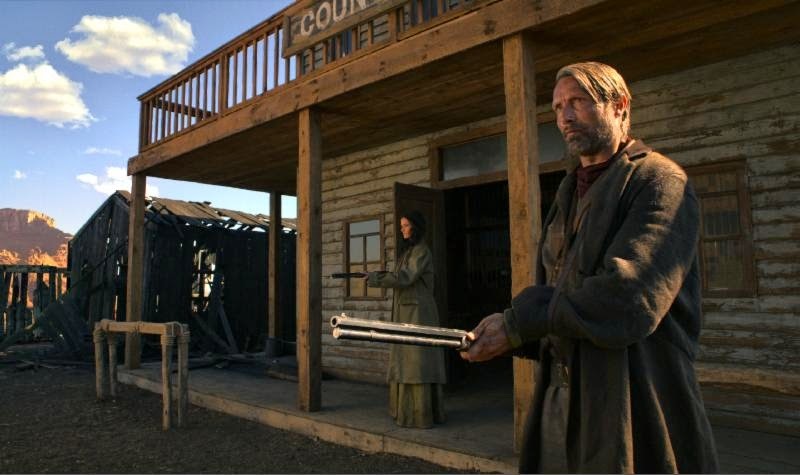 The mighty Mads Mikkelsen unleashes a maelstrom of bloodshed in theWild West in this white-knuckle tale of revenge. When he lays waste to the scoundrels who killed his wife and son, a Danish ex-soldier (Mikkelsen) incurs the wrath of a sadistic gang leader hell-bent on hunting him down. Exploding with eye-popping action, dazzlingly dramatic frontier landscapes, and a smoldering performance by Eva Green, The Salvation is a rip-roaring, blood-spattered saga of sin and redemption. Release Date: February 27, 2014 in LA and NY Watch the trailer below.